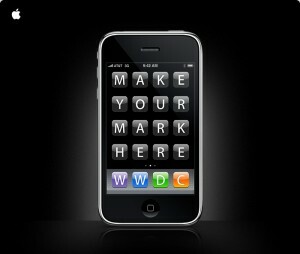 Apple today has officially announced the dates and opened registration for its 2009 Worldwide Developers Conference. Thursday afternoon, Apple has announced that its annual developer conference will kick off on Monday June 8th at Moscone West in San Francisco and end Friday, June 12th. Tickets for the event are currently $1295 until April 24th, when Apple plans to increase the price by $300. Last years event did sell out in May, with over 5,000 attendees. This year, Apple is expected to show off a close to finished build of Snow Leopard along with a new iPhone hardware revision as well as a completed (or close to complete) iPhone OS 3.0. More information will be coming soon. The iLife accurately predicted the dates for this years WWDC and will be providing coverage on the latest builds of Snow Leopard and iPhone OS 3.0.